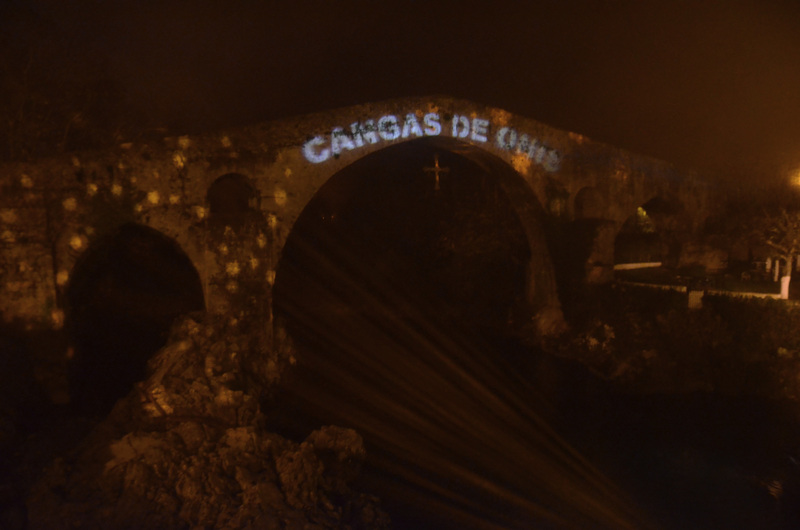 Cangas de Onis on a dark December night is foggy, cold, humid and basically deserted. We walked to a restaurant recommended by Tripadvisor and found its kitchen was open only for lunch; another was closed and another one couldn’t be found. 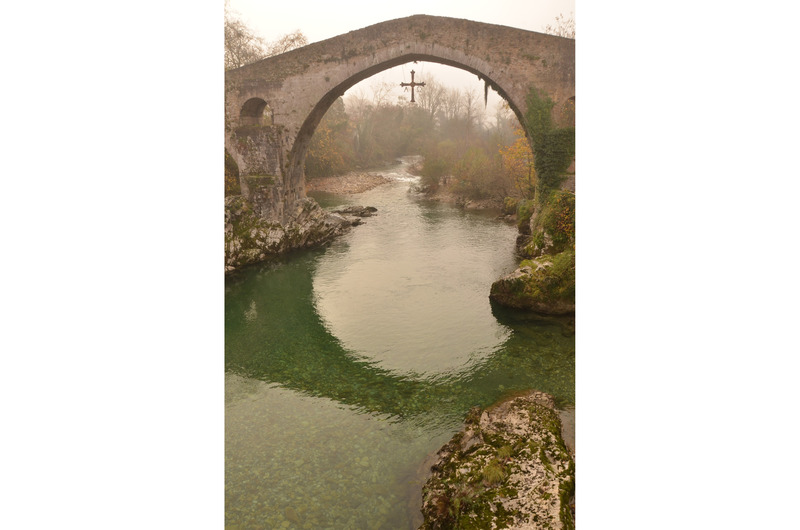 So we settled in a restaurant that was very good (but a bit too expensive) and that was, we found out when we went to search for the car, right next to the famous Roman bridge of Cangas de Onis. Which, I discovered, isn’t Roman at all but medieval. 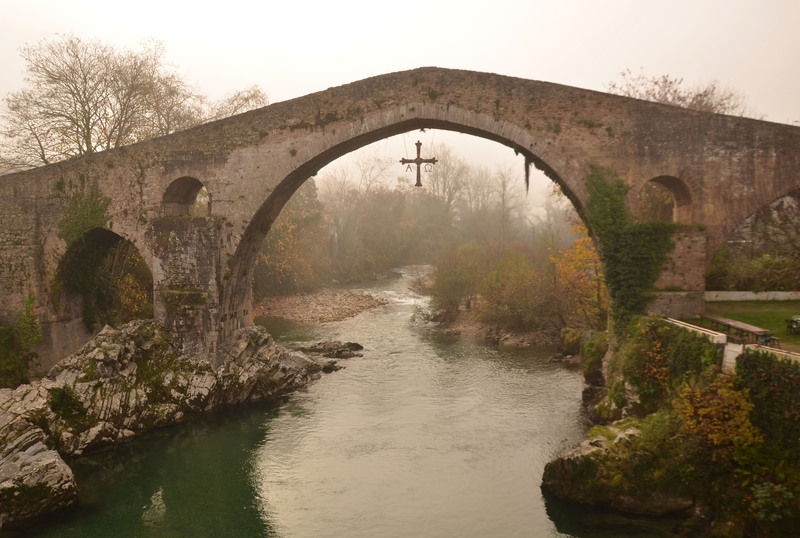 Cangas de Onis, I also discovered, was capital of the Asturian Kingdom until 774, when King Don Pelayo liberated Spain from the Muslims (or something to that extent). There isn’t much to see here except the bridge. And its crystal clear waters. And some summer sports (quod riding, horse riding, bike riding..). In winter, I’d suggest a short stop en route to somewhere else.